The Queen Diva left me bouncing in both mind and body, and I am better because of it. If you ever have the chance to see Big Freedia - go! Please! For your own sake. Why See Tank and the Bangas with Big Freedia? 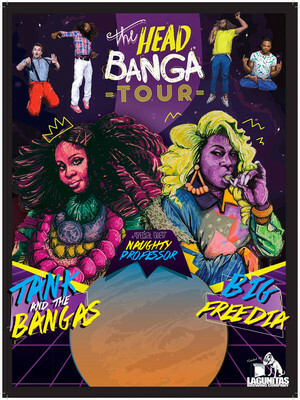 High energy funk-soul group Tank and the Bangas and the pioneer of bounce rap Big Freedia join forces for a joint tour across America, touching down in Philadelphia, Boston, Seattle, Portland, New York, and Toronto. The two acts are also joined by New Orleans natives and jazz six piece ensemble Naughty Professor. Tank and the Bangas found worldwide fame and notoriety with their hit single 'Quick,' which was released last year and won NPR's Tiny Desk contest. Earlier this year, the group released 'Smoke.Netflix.Chill' which gained wide critical acclaim, and they plan to soon release their next studio album. In 2003, musician Big Freedia released the studio album Queen Diva, but began gaining fame in mainstream music in 2009 and the following year with the release of her 2010 album Big Freedia Hitz Vol, alongside exuberant music videos. 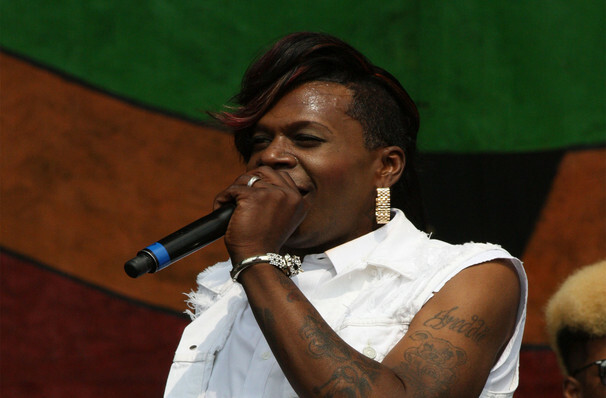 In 2011 the Best of the Beat Awards named Big Freedia the Best Emerging Artist and Best Hip-Hop/Rap Artist and she was nominated for the 2011 22nd GLAAD Media Awards. Seen Tank and the Bangas with Big Freedia? Loved it? Hated it? Sound good to you? Share this page on social media and let your friends know about Tank and the Bangas with Big Freedia at Roseland Theater. Please note: The term Roseland Theater and/or Tank and the Bangas with Big Freedia as well as all associated graphics, logos, and/or other trademarks, tradenames or copyrights are the property of the Roseland Theater and/or Tank and the Bangas with Big Freedia and are used herein for factual descriptive purposes only. We are in no way associated with or authorized by the Roseland Theater and/or Tank and the Bangas with Big Freedia and neither that entity nor any of its affiliates have licensed or endorsed us to sell tickets, goods and or services in conjunction with their events.